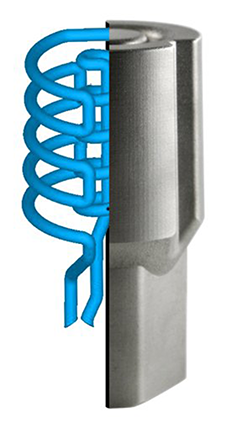 Innovative Additive Manufacturing from EOS on the basis of DMLS (Direct Metal Laser Sintering) is the answer: This makes it possible to integrate optimised tempering channels in the tool directly and under near-contour conditions during production. This means that heat can be dissipated much after and more evenly, while hotspots can be cooled on a targeted basis. Manufacturers benefit from numerous advantages: the tool retains its shape better and lasts longer. In addition, the plastic product quality and dimensional accuracy of the manufactured parts is enhanced, and drastically reducing cycle times.